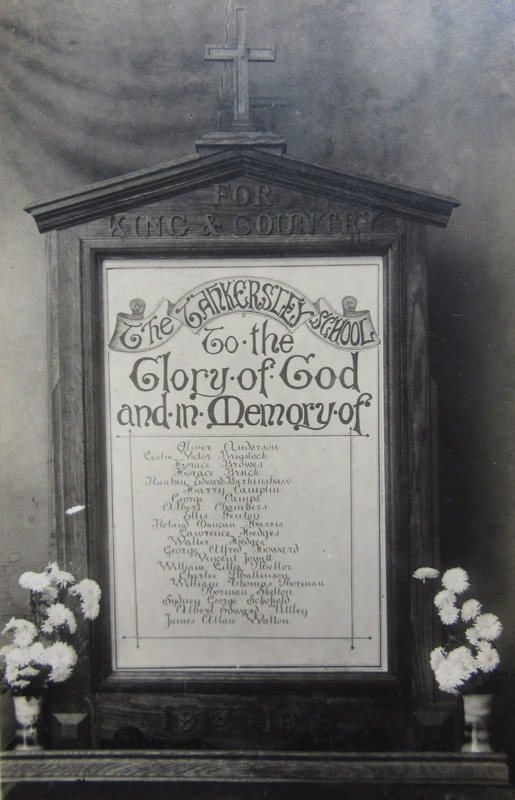 This memorial was discovered by Belmont Club member Terry Sidebottom. It has been transcribed and researched by Graham Noble and additional research has been done by Peter Marsden. 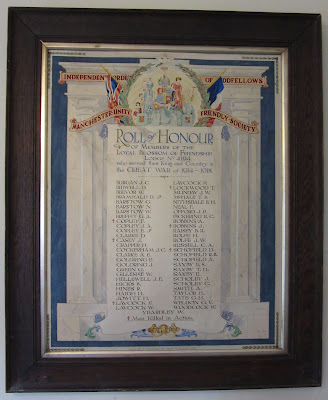 Many thanks to Graham Noble for sharing this with the Barnsley War Memorials Project. 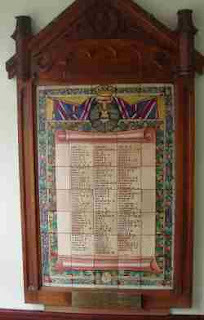 The Roll of Honour is rectangular and framed. 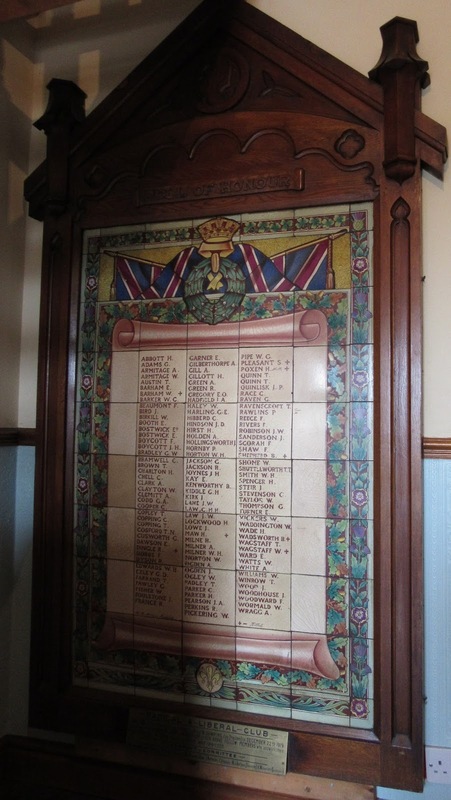 79 men are named on the memorial, 14 of whom died during ww1 and 65 who served. All 14 casualties are remembered on Hoyland War Memorial. 3 of the men Naylor, Patmore and Taylor are commemorated on the memorial tablet in Elsecar Church. If you have a photograph of an individual who died in the First World War, and they have a connection to Barnsley, we would be very grateful for a copy of the photograph. 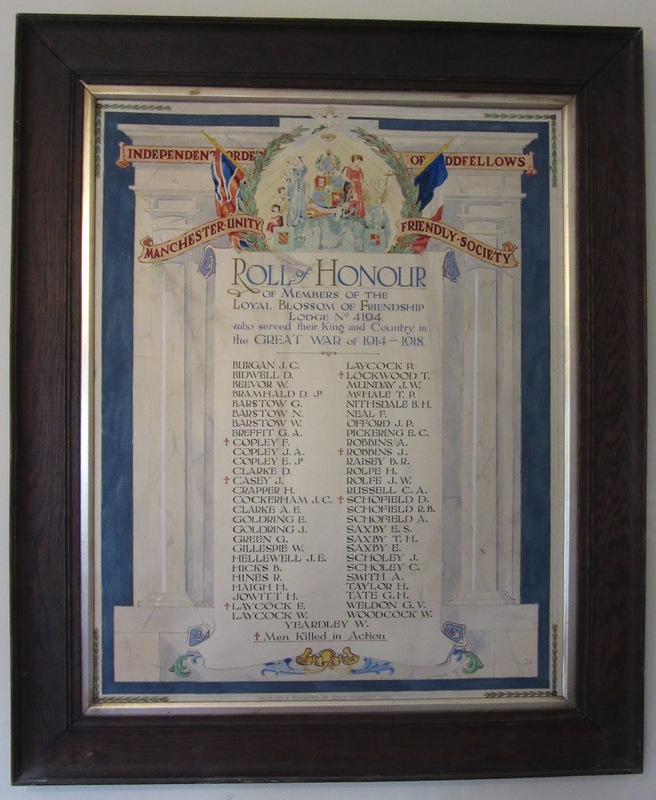 We are aiming to have the first draft of the Roll of Honour available to view in the Barnsley Archives this November. We want the public to be able to check their relative is included and that we haven't missed anyone out before committing to a final edition. The final version will be published to coincide with the the armistice centenary in 2018. 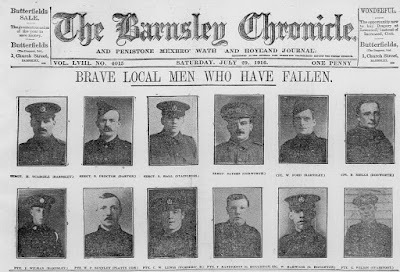 This will be a one-time opportunity to produce a book that properly honours the individuals from Barnsley, who died in the service of their Country. 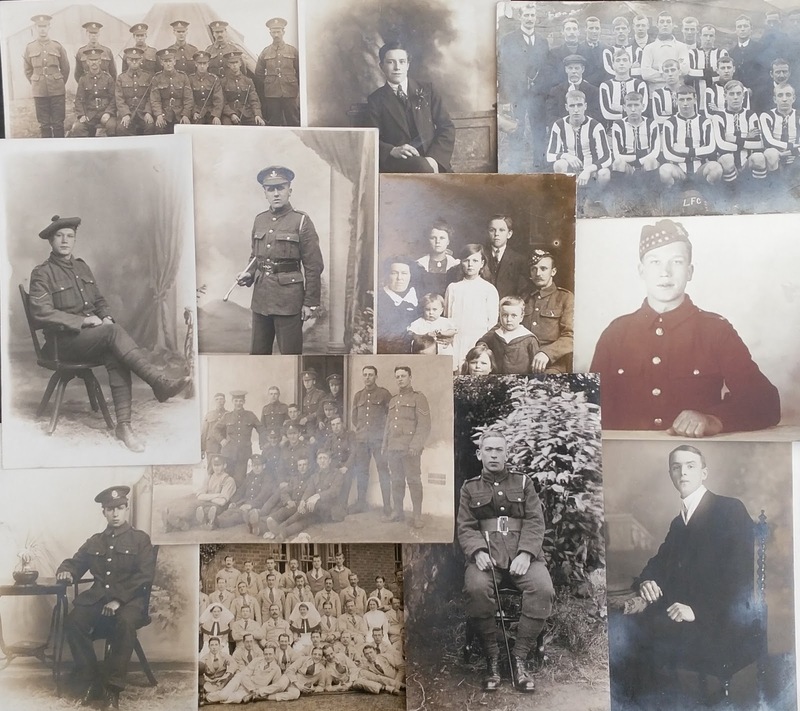 Once the book has been printed the opportunity to show your relative's photograph on the paper Roll of Honour will be lost forever. kingstonehistory@gmail.com with your name as the source as this will also be included alongside the photograph. If you have difficulty copying the photo, please contact us and we will be able to help. Image with thanks to the Barnsley Archives. The BWMP will be doing our part to find photographs as well. The Barnsley Archives has generously given us permission to search the old newspapers for images to include. 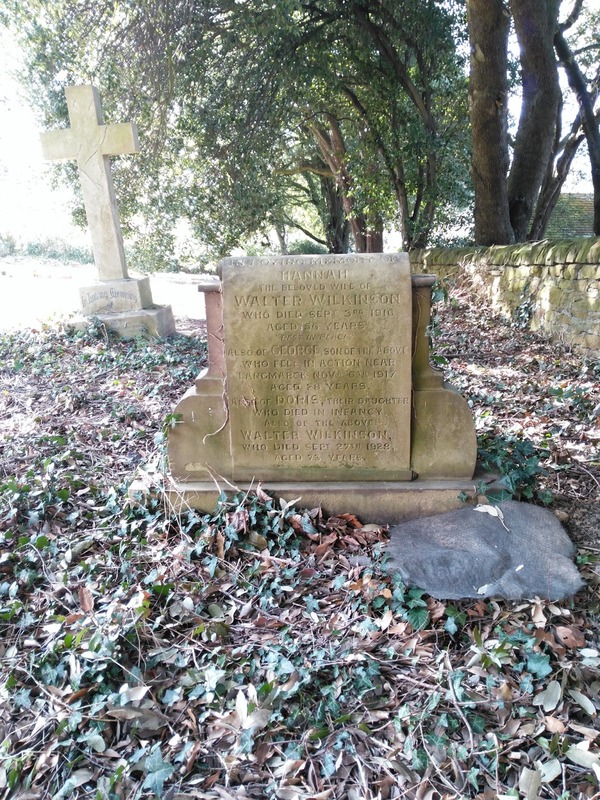 George Wilkinson memorial Headstone in All Saints Churchyard, Cawthorne. Pte. George Wilkinson, 32423, South Lancashire Regiment 2nd/4th Bn. 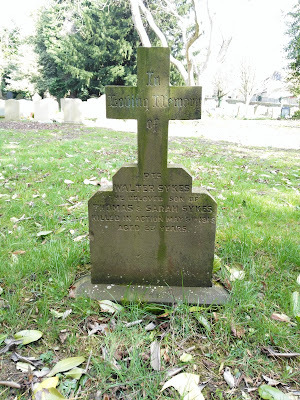 Died 06th November 1917, Age 28. Tyne Cot Memorial, Panel 92 to 93 and 162A. 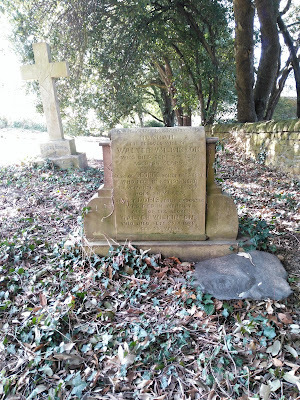 Walter Sykes memorial headstone in All Saints churchyard, Cawthorne. Pte. 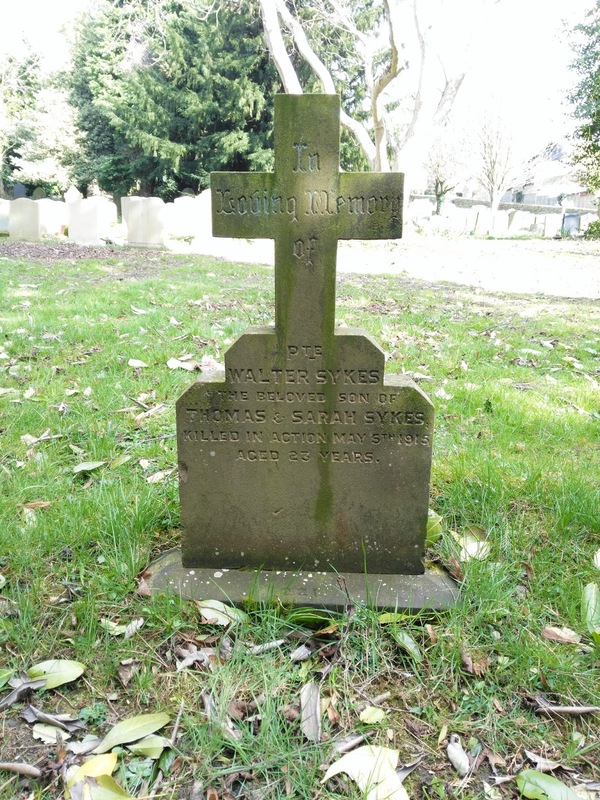 Walter Sykes, 15874, East Yorkshire Regiment 2nd Bn. Killed in Action 5th May 1915, Age 23. Ypres Menin Gate Memorial, Panel 21 and 31.